Thank you for Nominating San Diego Self Storage! 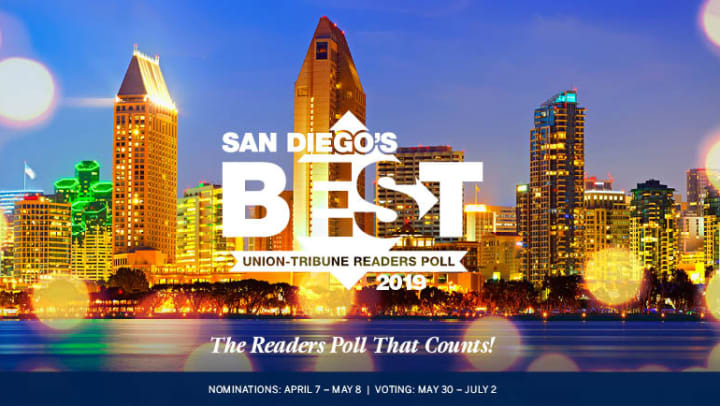 Go directly to the "For the Home" Section of the UT-SD Reader's Poll. Scroll down to "Storage Facility." Type in "San Diego Self Storage." Enter your email address and click the "Continue" button. Enter your zip code and click "Nominate." - Done!